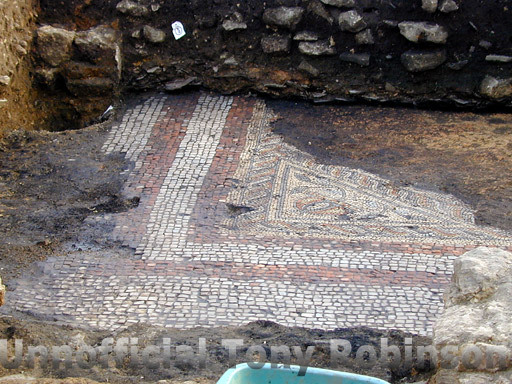 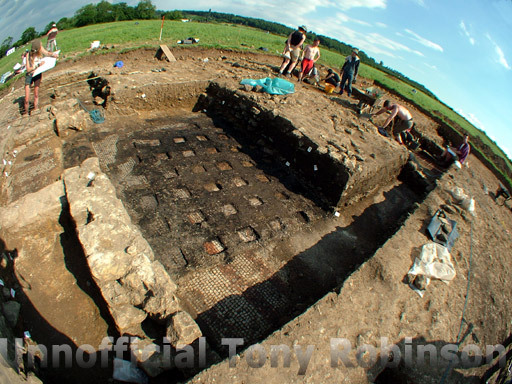 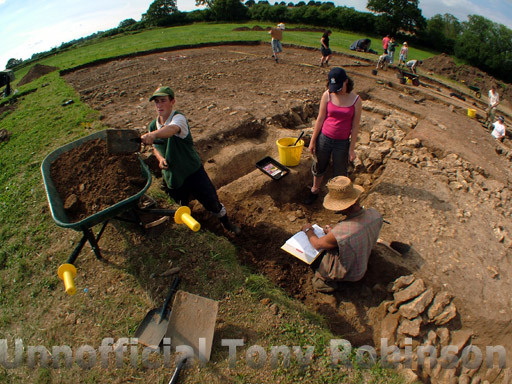 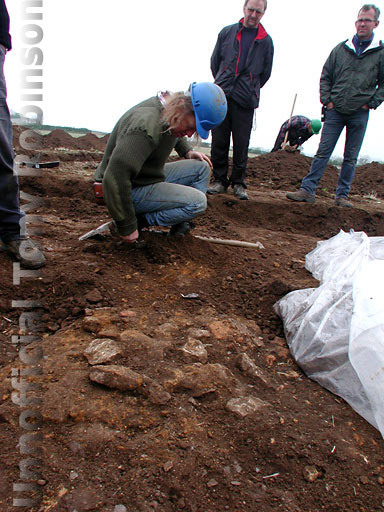 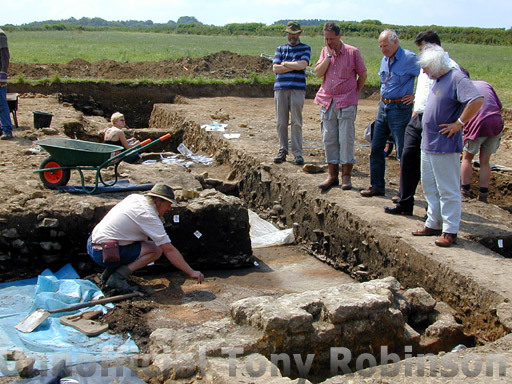 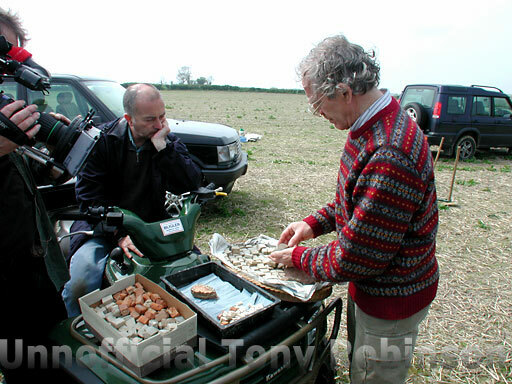 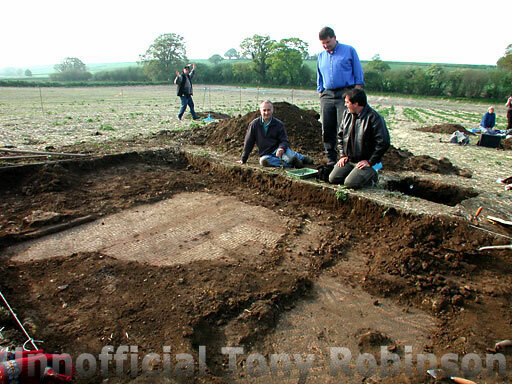 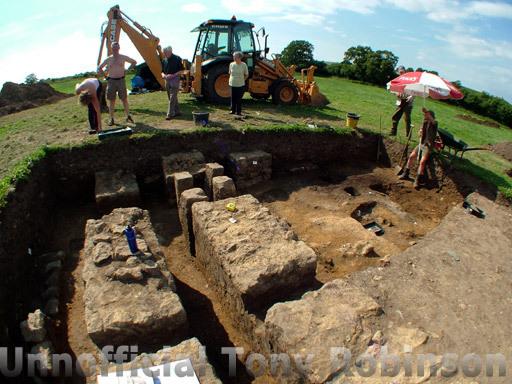 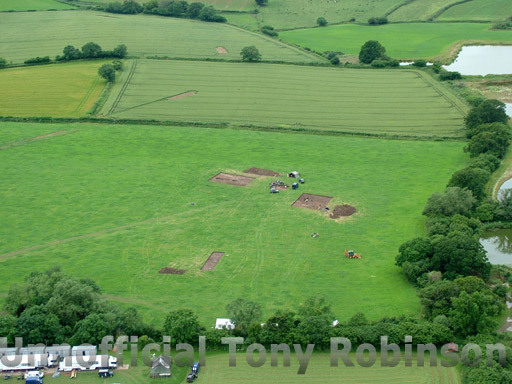 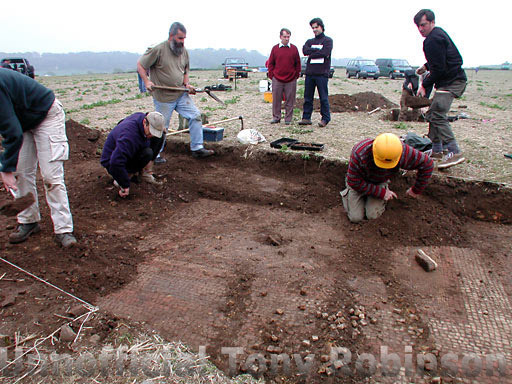 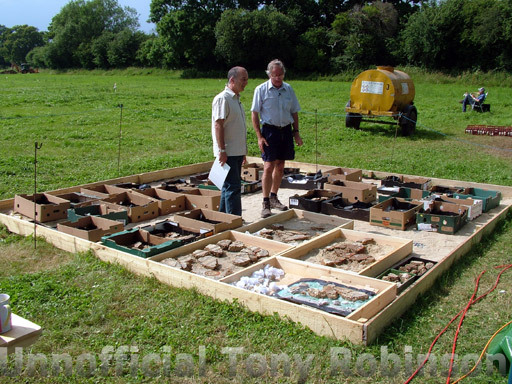 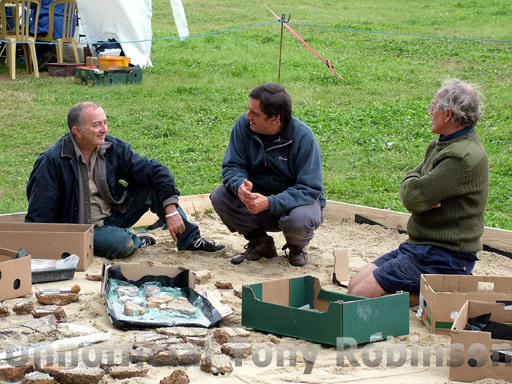 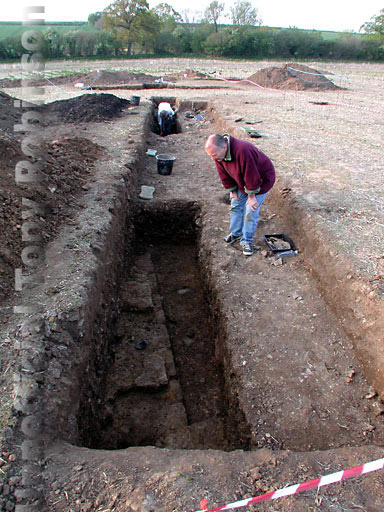 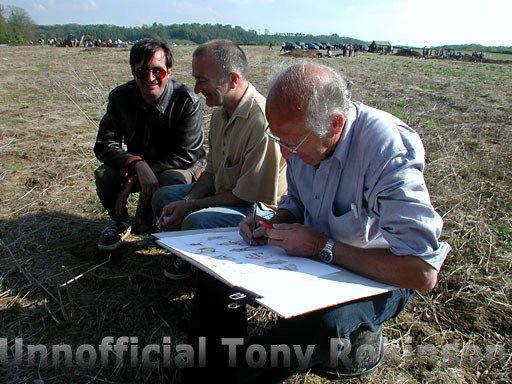 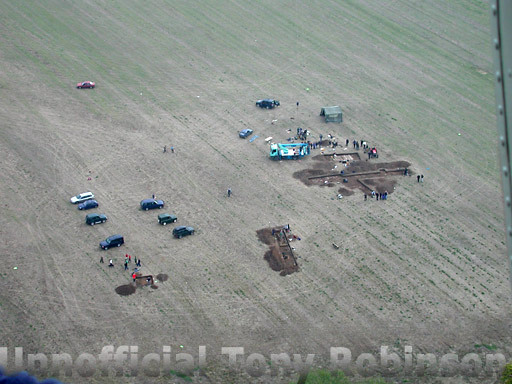 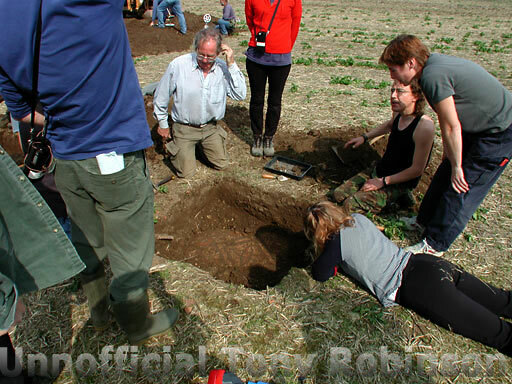 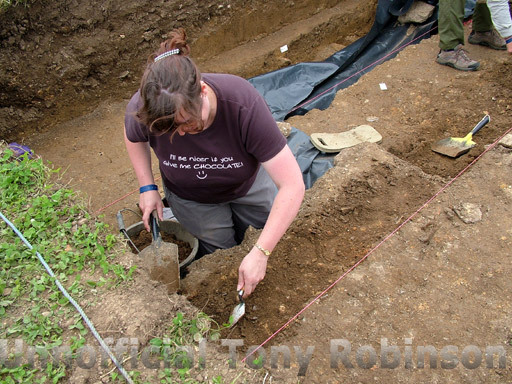 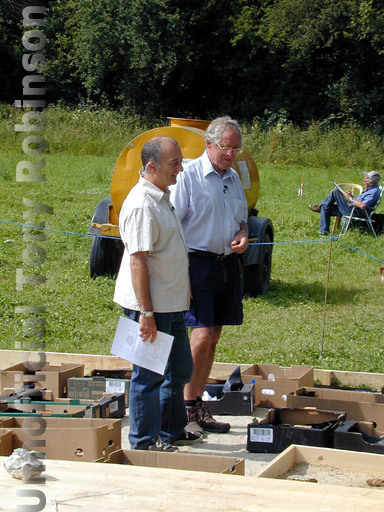 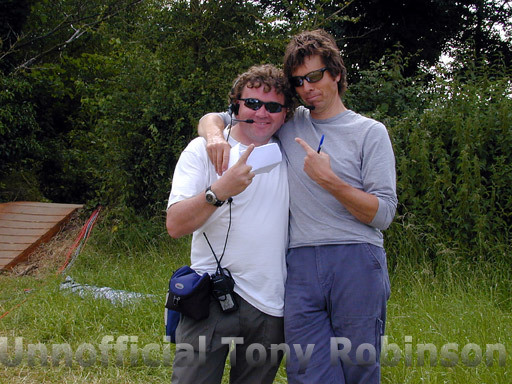 In 2002, Tony Robinson and the Time Team unearthed one of their biggest and most exciting finds: a beautifully preserved and previously unknown Roman villa lying inches below the turf of a Somerset field. 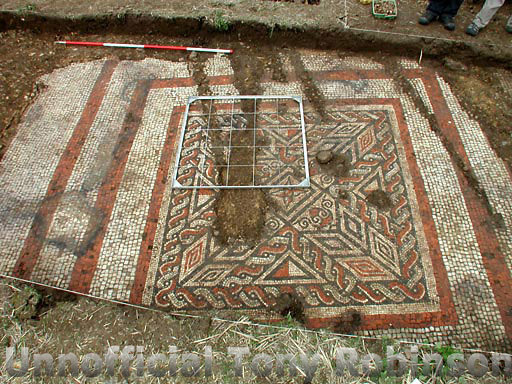 They discovered that the owners must have been among the richest inhabitants of Roman Britain, commissioning extraordinary mosaics, wall paintings and sophisticated heating systems. 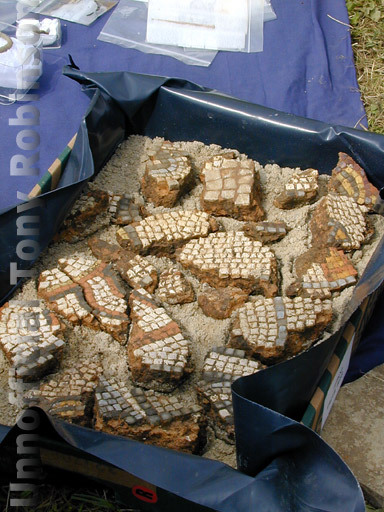 But a three-day dig wasn't enough to investigate such a site properly and so, in July last year, the team - along with 50 or 60 diggers and a group of experts - returned to discover why the villa was so large, who lived there and, most intriguingly, how it met its ignominious end in the late fifth century. 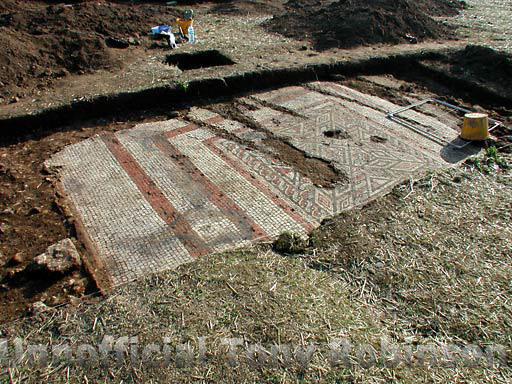 This hour-long film brings together the whole story of the villa, showing its progression from small farm building to splendid country house and back to farm building again. 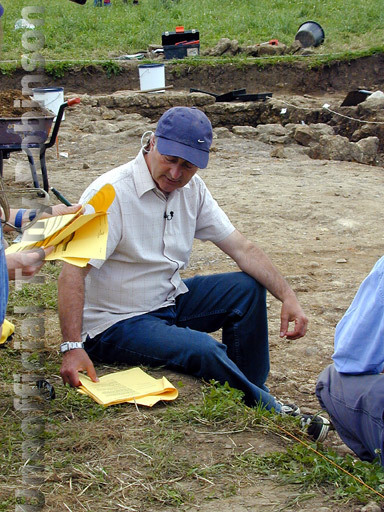 Images - 2002 - Click on an image to see a bigger version. 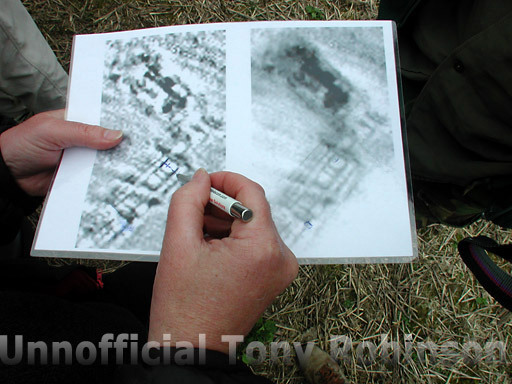 All images on this page are copyright and not to be reproduced in any way without permission. 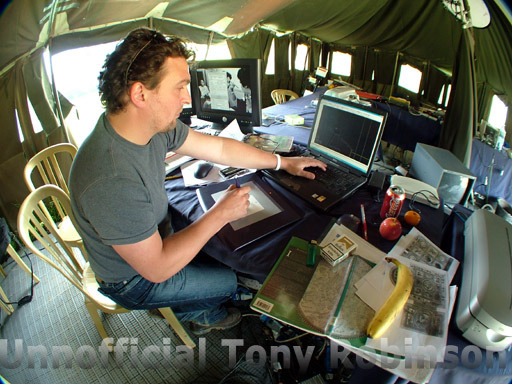 QTVR Panorama Gallery - 2002 These panoramas need Quicktime to view them. 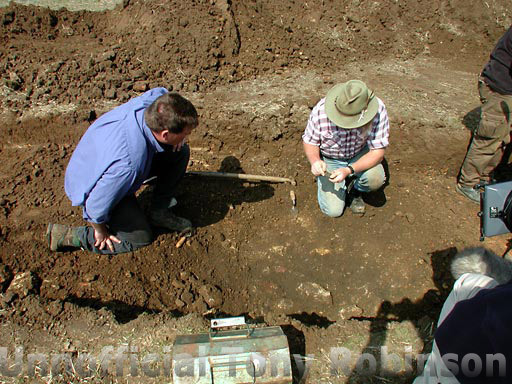 Download free from Apple. 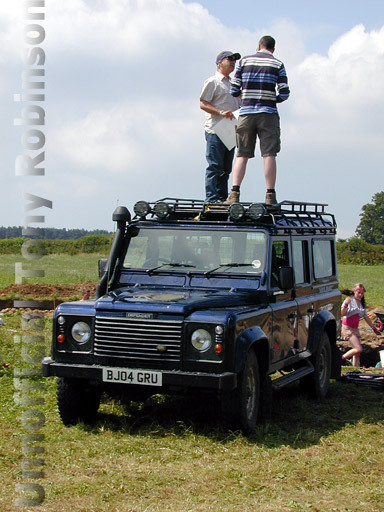 Images - 2005 - Click on an image to see a bigger version. 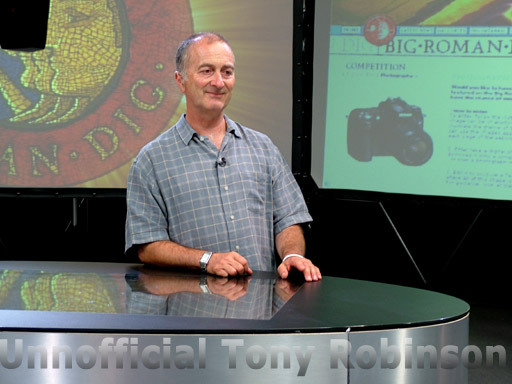 QTVR Panorama Gallery - 2005 These panoramas need Quicktime to view them. 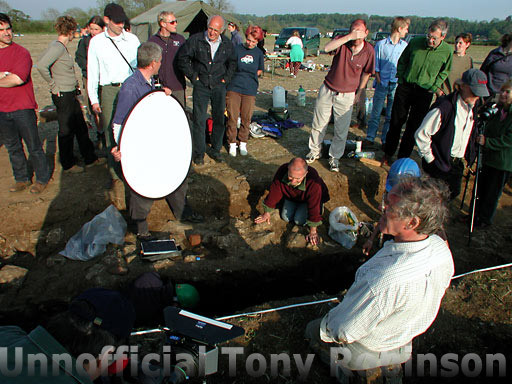 Download free from Apple.